As we had hinted here last week, DoCoMo has just announced their latest 3G FOMA handsets – the 904i-series – this afternoon at a downtown Tokyo hotel. While you may not be able to attend the event in person, they will have a video broadcast of the presentation online here starting at 18:45 (GMT+9). The five new handsets, model details here, have features which are more advanced than those supported by 903i Series models. 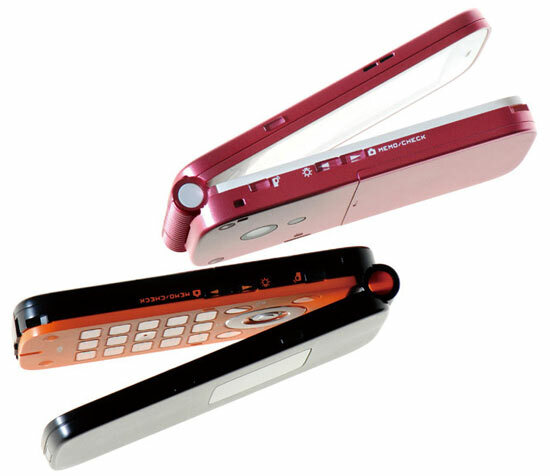 Among these features are “2in1″, which takes the capabilities of two phones and folds them into a single handset; “Uta-hodai”, which allows via i-mode full-track music downloads from content providers for a flat monthly subscription fee; and “Chokkan Game”, which are played using intuitive motion. All models in the 904i Series support “Video Clips (10MB i-motion)”, Windows Media Audio (WMA) and Full Browser, while some also support 1Seg digital-tv and 3.5G (HSDPA) access. The D904i, F904i, N904i and SH904i could begin arriving in stores as early as May; at the latest they will be available in June. The P904i will go on sale in June. 904i-series Photo Gallery.